To form your A N.S.A. club, we suggest a minimum of six members. Australia-wide, the average club has over forty members, which seems to be an ideal number for social and fishing reasons. Membership in the Association is open to all clubs and members who agree to abide by the rules and standards of the Association. Branch Executives are elected by delegates from the clubs within each State. Branches do much of the regional work in processing Record claims and Master certificates, advising on contests and representing their clubs in various ways. Clubs benefit from active contact with their respective Branches. A National Board Executive is in turn elected by Branches every 3 years. The National Board administers and manages the Association as a whole. The National Board also publishes the A.N.S.A. Rule book and maintains all National record charts. Rule books are supplied to the branches in sufficient quantity to ensure that each ANSA member has a personal copy. The National record chart is maintained on the ANSA website and is regularly updated. All requisite forms for claiming Records and Masters Awards etc are available on the ANSA website. Well established clubs run very smoothly, however there may be times when State Branch or National assistance is needed. First step is at club level, where the majority of locally relevant decisions are taken. It is difficult for Branches or National to move on an issue unless it is voted on by that Branch’s member clubs. A couple of useful points, all of us have to accept a majority vote. Most times we can reach agreement but occasionally divergence of opinion will prevail. When we differ a decision by majority vote must be exercised and the result accepted with good grace. On rare occasions instant action may be vital. Typical case, a member discovers a fish kill in a local stream. There’s no need to hold a meeting before reporting it. Keep cool, make no wild statements, stay factual and try to get the media engaged. The golden rule is to remain polite. Few people are more impressive than a public spirited citizen with a strong case. A final tip on any issue, you may not win a instant victory, so be prepared to make a campaign of it. Persistence and a good case are hard to beat. Jurisdiction over fishing issues rests mainly with State Governments, so Branches play a vital role in representing clubs and members. Most A.N.S.A. Branches are actively represented on State level fishing advisory councils and the like. These representatives should be active member of the Branch Committee or liaise closely with it. Their responsibility is to represent A.N.S.A. membership and the broader recreational fishing community on State fishing isues. ANSA National is also actively engaged in liaison and advocacy functions on behalf of members, clubs and state branches on a broad range of issues at both a State and Federal Government level and is well represented on many government advisory panels and committees. 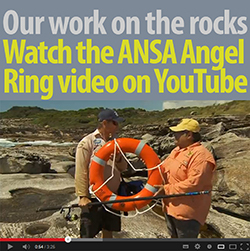 ANSA is also an active founding member of Recfish Australia (the Australian Recreational and Sport Fishing Industry Confederation) which is widely recognized as the National peak body representing all Australian recreational fishers. If you need advice, want to know what’s going on or assistance and guidance on any issue then get in touch with your Branch or National ANSA executive. We are there to help. You will need to find a group of individuals who are prepared to form the club committee. Members of the club committee don’t require any special qualifications but it’s handy to have someone on board who knows a bit about finance and how to write up minutes of meetings etc. The committee will manage the day to day affairs of the club but will always be accountable to the ordinary club members. Secretary: Takes minutes of meetings and handles correspondence to and from the club. Treasurer: Handles all financial transactions for the club, manages general club finances including bank accounts and the preparation of financial statements. Public Officer: Responsible for compliance with Associations Incorporation Act if the club is incorporated ¦Club Recorder. Maintains details of club competitions, processes records and masters claims, register of trophies. ANSA Delegate: Keeps members acquainted with what is happening at ANSA and represents the club at ANSA meetings. Publicity Officer: Produces and publishes the club’s newsletter. Social/Events Officer: Organises social events and sale of club apparel. Ideally the club should meet at least monthly. Approach one of your local sporting or community clubs to see if you can hold your meetings at their club. Most potential host clubs will be happy to oblige and if you are lucky the club may also invite you to become a sub branch of the club. This can be very beneficial financially especially if you can take advantage of the host clubs corporate status and public liability cover. President – welcomes guests and new members and records apologies. Secretary’s report – Minutes of last meeting, business arising, correspondence in and out. Treasurer’s report – Current financial position. Club Recorder – Reports on club competitions past/future etc. Hands out award certificates. ANSA Delegate – Reports on ANSA issues. ANSA NSW yearly competition progress results. Social Officer – Reports on whats coming up next on the social calendar. General Business – Fishing reports / issues of interest to members / fishing & tackle tips / guest speaker / video. If you are going to establish an ANSA Sportfishing club and you will be acting independent of a large company styled sporting or community club, then it is strongly recommended that you take action to have your club incorporated under the Associations Incorporation Act applicable to your state. The main benefit of incorporation is that it provides limited liability to club members and officials. The cost of having your club incorporated is very minimal and the benefits are many and it’s easy to do. Contact the government agency responsible for administration of the Associations Act in your state. It is usually the Office of Fair Trading or a similar named body. The agency website will provide you with all the information you need to incorporate your club including the provision of a model constitution and rules which can be readily adapted to suit your club’s needs. All clubs are encouraged to take out public liability insurance. If your club is not covered for public liability then you are exposed to unquantifiable risk even though your club may be incorporated. In fact in some states it is a mandatory requirement for incorporation status to have public liability insurance in place. Some State branches of ANSA do provide a public liability insurance scheme for member clubs in their state. You should make inquiries with your State branch executive to see what insurance schemes might be available. The alternative is to shop around with various insurance companies to see what insurance packages are available and suitable for your club and the applicable insurance premium. Accident Insurance Some clubs do take out what is termed “defined benefit accident insurance” for their club members. What this means is that should a member suffer a defined event injury and disability such as the loss of use of an eye or a limb while fishing then an agreed amount of compensation is paid to the injured member. There is usually a prescribed accidental death payment also applicable. In some states such insurance schemes are administered and backed by the state government. You can check on the availability of such insurance via the government agency responsible for the management of sport in your state. A number of non government insurance companies also provide this type of insurance. Every thing you need to know about ANSA, how it works, the rules, eligible species, fighting factors, tackle divisions etc is set out in the ANSA Rulebook. Every member should be provided with a copy of the Rulebook at the time of joining ANSA. Copies of the Rulebook can be obtained from your ANSA state branch executive. Current record charts for both National and State Records can be obtained from the ANSA National and State branch websites. Claim forms can also be sourced from the ANSA National or State branch websites. There are two distinct competition and record scoring methodologies provided by ANSA. One is a line class/weight criteria and the other is a length only criteria. There are state and national records for both line class/weight captures and state and national Master awards for both line class and length only captures. 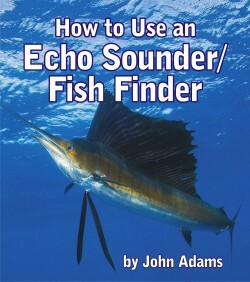 The length only criteria requires the angler to take measurement of the fish from the edge of the jaw to the end of the tail on an acceptable measuring device. The measuring must be witnessed or a photo taken of the fish on the measuring device. Any type of tackle can be used and there is no line class factor. This is referred to as “All tackle” fishing. – The weight of the fish. To calculate the points earned for a particular capture, the following formula is used. Any line class/weight capture that gains 100 points or more is called a Line Class Masters capture and earns the angler a ANSA Line Class Masters Certificate. A Length Only Masters capture requires an angler to catch a species which has a length in excess of what is termed a trophy length. Masters certificates which will be issued by the club. When an ANSA member gains Line Class Masters Certificates for 10 different species of fish using a particular method of fishing ( eg sportfishing, lurefishing, flyfishing, gamefishing, handlining, land based gamefishing, all tackle – as described in the rule book) then that angler is eligible for an ANSA National Award known as a Line Class Master Angler Award. Likewise if a member gains Length Only Masters certificates for 10 different species the member is eligible for an ANSA national award known as an All Tackle “Length based” master Award. Can be based on either or a combination of longest /heaviest fish species or most points earned under the ANSA points system. A competition for the highest point scoring boat can also be a popular activity for members. 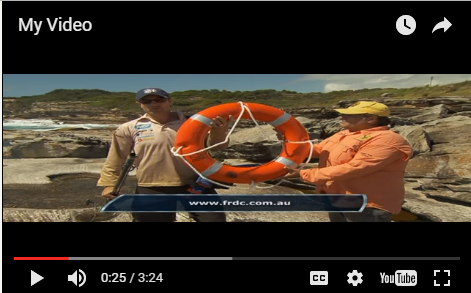 If your club is likely to conduct a major fishing competition or convention etc whereby other clubs or the general public will participate then ANSA NSW Branch has guideline rules and policies for such events which all ANSA clubs are encouraged to adopt. The guidelines place emphasis on competitor safety and effective event management to minimise risk for all involved and can be tailored to suit individual club needs. Refer to the NSW website (www.ansansw.com.au) if you need to know more about the guidelines. Fish tagging and capture and release is a popular activity amongst ANSA members. ANSA does conduct its own national tagging programme under the Austag banner and most ANSA State branches do likewise conduct their own tagging programmes often in conjunction with the state government fishing agency. Refer to the ANSA website for more details on the Austag programme.